The arson caused �20,000 worth of damage. Reckless vandals who caused £20,000 worth of damage to a primary school treehouse in Blyth have been dealt with in court after pleading guilty to committing arson. A trio of teenagers were sentenced at North Tyneside Magistrates’ Court after being convicted of setting an outdoor classroom on fire. In August of this year, police and Northumberland Fire and Rescue Service received reports of a treehouse fire that was located in the grounds of Morpeth Road Primary Academy on Bates Avenue. Blyth neighbourhood officers quickly launched an investigation to track down those responsible after the fire service confirmed it was set intentionally. CCTV showed the offenders entering the school premises in the early hours of Sunday, August 5, where they headed towards the outdoor treehouse. The three teens have then gained entry by kicking all of the windows, before later emerging again and fleeing the scene. It was then that the fire started to engulf the treehouse, leading to the fire service receiving a report. Three teenagers – all aged 16 – were soon identified on footage as the culprits and were later charged with committing arson. After appearing at North Tyneside Magistrates’ Court on October 17, one of the boys was ordered to serve 12 months in a youth detention facility. A second boy was issued with a Youth Rehabilitation Order and must engage with the Youth Offending Team. The third boy received a referral order and a fine. 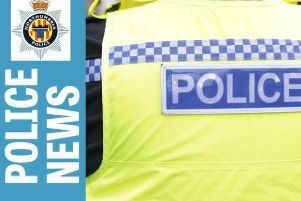 Acting Sergeant Chris Ardley, who oversaw the investigation in the Blyth neighbourhood team, said: “This was not only an attack on property belonging to the school, but the local community – including pupils who attend. “I’m happy to see that a positive outcome was reached in court and that the team’s hard work and efforts have paid off.